In the previous post you can see photo's of the kitchen, you can't really make out the pattern/color on the front of the island bench. 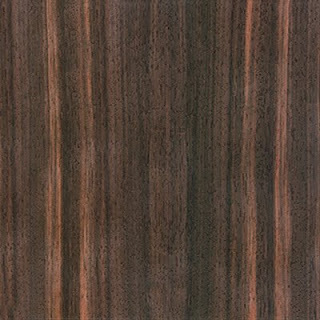 It's Laminex Ebony Macassar and has been applied horizontally. Here's a pic so you can see the pattern.